Next Thursday, Google Pop Up Stores will open their doors in NY and LA so consumers can get some hands-on time with all the new #madebygoogle toys. 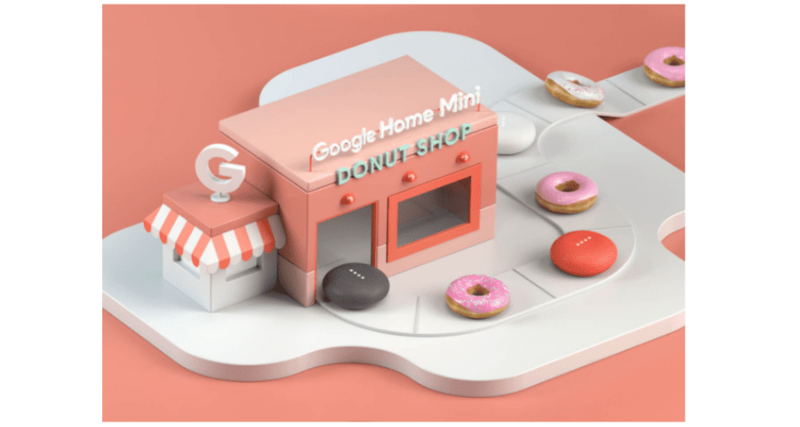 For those of you not willing or able to make the trip, you may still have a chance to score a Google Home Mini or at least some tasty donuts. The Google Home Mini is being touted for its minuscule size, roughly that of a donut. At the Oct. 4 hardware event, workers outside the SF JAZZ Center handed out little boxed of tasty treats to promote the tiny smart speaker and the upcoming Donut Shops that will be popping up in select locations across the country. 11 shops from San Francisco to Manhattan will offer up an interactive Google Home experience where shoppers can enter, ring the bell and ask the Assistant a question. 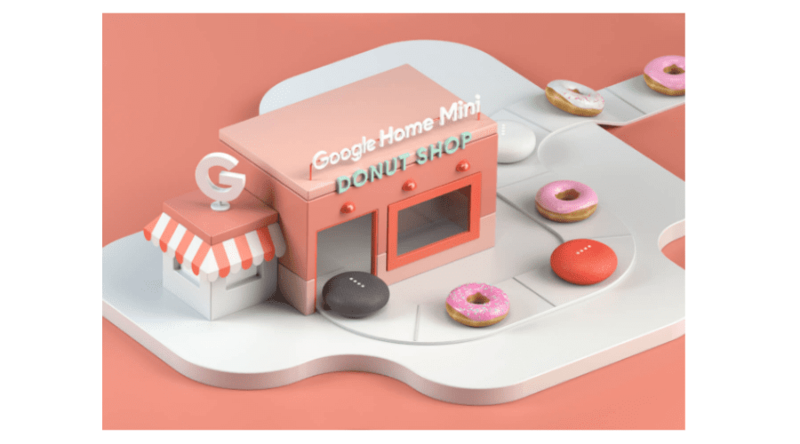 From there, they will be presented with a small box that will contain either two donuts or a free, Google Home Mini. Business Insider released a video with a close-up look of the Google Donut Shop and it looks like a mini Willy Wonka factory. To find a location near you, click the map below. You can RSVP via the Made By Google Facebook page to make sure you don’t miss out on the fun. I’ll be heading to the Indianapolis store on the 4th so stay tuned for a close up look here at Chrome Unboxed. As a self-proclaimed donut connoisseur and fan of all thing Google, this should be a little bit of Heaven on Earth. I mean, who doesn’t like a good donut? Come check it out. If you’re in the Indy area, hit us up on social. I’d love to meet you.